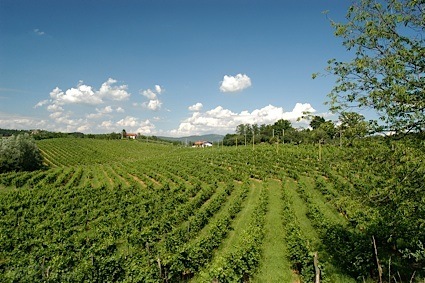 Bottom Line: An outgoing Sauvignon Blanc with big personality; exuberantly fruity. 84 • Elysian Springs 2016 Pennies from Heaven, Sauvignon Blanc, Adelaide Hills 13% (Australia) $27.50. 88 • Elysian Springs 2015 Silent Waters, Pinot Noir, Adelaide Hills 14.5% (Australia) $27.50. 92 • Elysian Springs 2015 Spring Lamb, Syrah, Adelaide Hills 14.5% (Australia) $27.50. 86 • Elysian Springs 2016 Honey Block, Chardonnay, Adelaide Hills 13% (Australia) $27.50. 93 • Elysian Springs 2018 Pennies From Heaven, Sauvignon Blanc, Adelaide Hills 13% (Australia) $27.50. 84 • Elysian Springs 2018 Apple Cart Rosé, Pinot Noir, Adelaide Hills 13% (Australia) $27.50. 89 • Elysian Springs 2018 Silent Waters, Pinot Noir, Adelaide Hills 14% (Australia) $27.50. 89 • Marley Farm 2018 Pinot Gris, Adelaide Hills 13% (Australia) $25.00. 88 • Marley Farm 2018 Pinot Noir, Adelaide Hills 13.5% (Australia) $25.00. 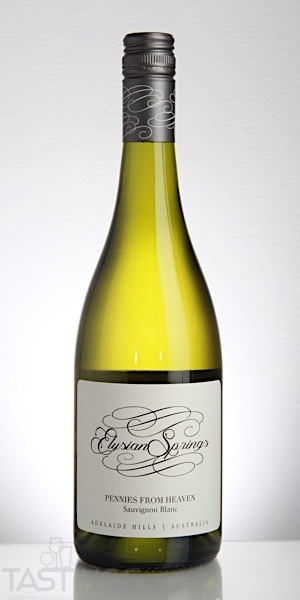 Elysian Springs 2018 Pennies From Heaven, Sauvignon Blanc, Adelaide Hills rating was calculated by tastings.com to be 93 points out of 100 on 1/16/2019. Please note that MSRP may have changed since the date of our review.